Trusted by Industrial Engineers and Custom Knife Makers, Get Your Copy of Our Highly Acclaimed Books. 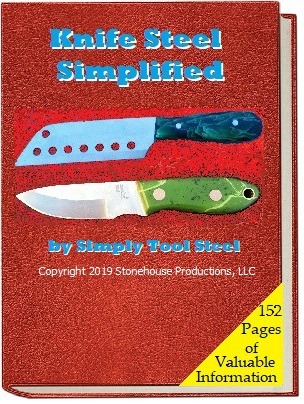 Simply tool steel is dedicated to providing valuable information about tool and high-speed steels, in an easy to understand format, for toolmakers and machinist. 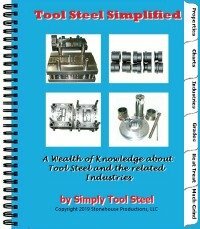 We demystify the properties, processes, alloying elements and terminology of tool steel, so that the toolmaker can attain a thorough understanding of tool steel and it’s uses. We will provide the proper information necessary to choose the correct grade of steel for your application and to avoid tool failure. Sign up for our newsletter or our RSS feed to keep up to date with the changes in the development of tool steel and it's use within the manufacturing industry. Articles, newsletters, books and seminars will be updated to Simply Tool Steel often, so please check daily. ®CPM, 1V, 3V, and 15V are registered trademarks of Crucible Industries, LLC.